Dr. Jeremy Schiermeyer is passionate about helping his patients recover as quickly as possible from pain, injury or functional issues ranging from autoimmune disorders and allergies to systemic problems related to the kidney, thyroid or digestive tract. 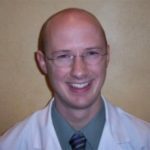 In the fall of 2000 Dr. Jeremy Schiermeyer began his journey of be coming a Chiropractor at South East Missouri State University located in Cape Girardeau, Missouri. He completed his education at Logan College of Chiropractic in Saint Louis with a Bachelors of Science in Human Biology and a Doctorate of Chiropractic. The last two years of his education at Logan he was an instructor for the Applied Kinesiology Club. In addition to the standard training at Logan, Dr. Schiermeyer’s post graduation education consists of over 700 hours of Basic Applied Kinesiology courses, clinical nutrition, sports injuries, advanced adjusting techniques, chiropractic pediatrics, clinical nutrition, advanced rehab and integrative biomechanics. He has learned from several instructors including Dr. Janet Lang, Dr. Paul Dobbins, Dr. Al Zatkin, Dr. Louis Boven, Dr. Daniel H. Duffy Sr. and the founding member of the Applied Kinesology technique Dr. George J. Goodheart. In 2006 Dr. Schiermeyer started his internship in Chicago under an accomplished Kinesiologist, Dr. Gus Spatharakis. After his internship Dr. Schiermeyer stayed to work and further refine his technique under the guidance of Dr. Spatharakis. Now, Dr. Schiermeyer has started a successful practice here in St. Peters, Missouri. Dr. Jeremy is a proud member of the St. Peters Chamber of Commerce, and a reconzined member of the International College of Applied Kinesiology. He enjoys traveling, hiking, and spending time with his family.